Trump supporters showing their true colours. 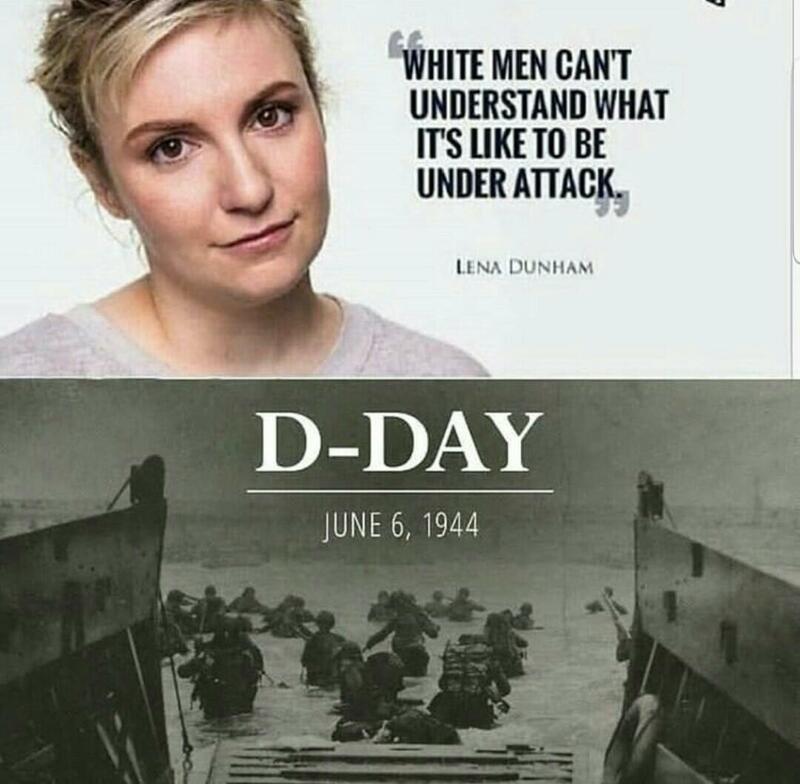 If it isn't white and male, they don't like it. Immigrants protesting for a wall to keep immigrants out, whilst simultaneously attacking a member of the indigenous people. Ignorant at best. Where did these children get their MAGA hats? From their parents I imagine. Racists at heart. Please point out the time in the video where he did anything other than stand there with his hands behind his back and not say anything whilst someone approached him and beat a drum in his face? I know you brown shirts and socialists take offence to everything but please point out what offended you. They were not protesting for a wall at all stop being so ignorant. They were waiting for buses after "The march for life" march. Their teachers told them to meet there. Here is the video of the man approaching the boy and not the other way round. Here is the full video... Point out the bit where he obstructs the man "whilst simultaneously attacking a member of the indigenous people". Here is another clip showing the people you defend shout "but you give Faggots rights" At 7.15. The obviously toxic young white men (according to you) all react in shock. You must be a homophobe though you support it. I have seen calls for him to be expelled from school, followed the rest of his life, harass anyone who might employ him to make him unemployable, beaten and murdered all for standing there saying nothing . The left and the media are going to try and destroy the lives of these children to advance their agenda. Child abusers at heart I assume. I wonder if you simpletons got that from your parents. Funny how this video hits every single news outlet after the Buzzfeed nuclear bomb they dropped on themselves the last few days. Just to be clear, you're calling me a homophobe and a simpleton? 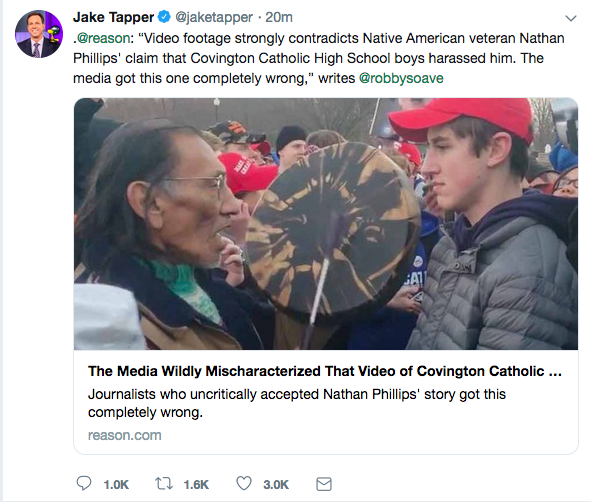 Even CNN's Jake Tapper is trying to walk the narrative back. I hope they sue them out of existence. Isn't that what you do all the time with Mr Trump? The latest update from the Washington Post shows that the pathological liar in the White House, at the end of his second year in office has made a staggering 8, 158 false or misleading claims so far. The rate at which he tells lies has risen sharply from 5.9 per day in year 1 to 16.5 a day in year 2, almost triple. What a colossal tool. Cant comment on the first point but would you agree that your post was wrong, unresearched and incorrectly accusing a set of students, and their parents of being racists? 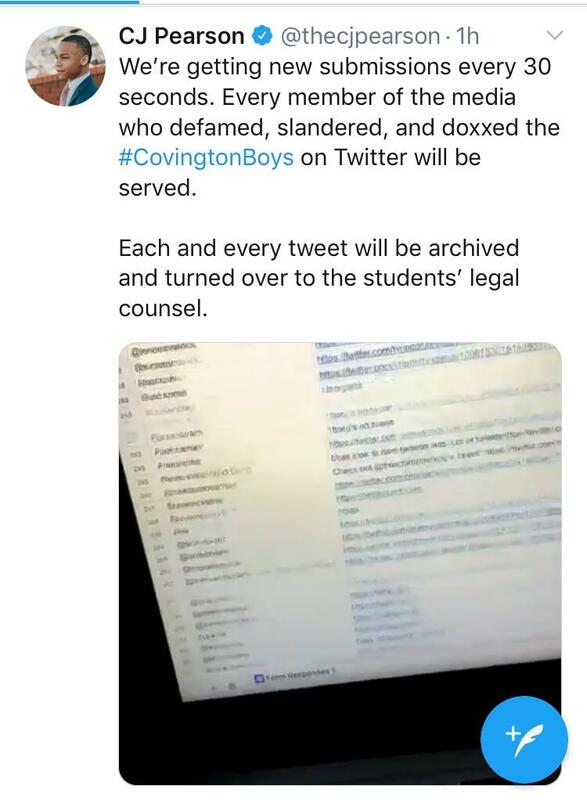 Or do you still believe your post is accurate in the description of the students actions? What will the changes mean? More men will get away with abusing women. More women will be unable to access help and recourse to the law. They changed the definition back in April. They underestimated the mental illness of the professional victims who can turn literally anything into some form of oppression. Yes men are clearly terrified of having equal rights. utterly terrified. I said as such to my female boss yesterday. Wow, even by your very low standards, that's grim. I can see why you and Mr Scumbag are such good friends. Very confused and telling, that second sentence. It makes the assumption that women who suffer domestic abuse and sexual violence are mentally ill, whilst at the same time claiming that women who suffer sexual assault and domestic abuse are doing it for the money. One could be forgiven for thinking you're lacking one of the vital components of what makes us human. Have you heard of a woman called Katie Hopkins? You remind me of her. P.S. I know you struggle to express yourself clearly, bur howabout leaving off with all the silly memes; they don't help.